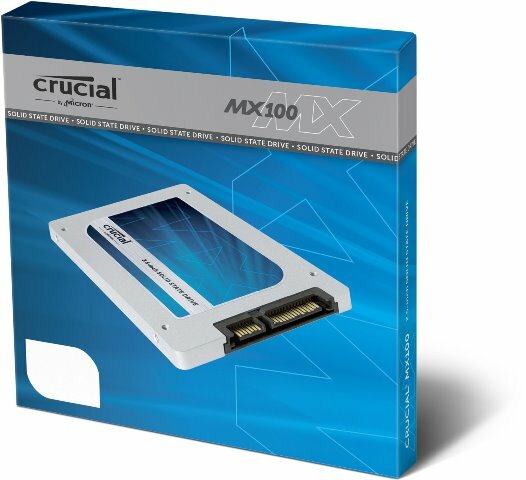 Crucial MX100 SSD Now Available - The New Bang For Buck SSD! 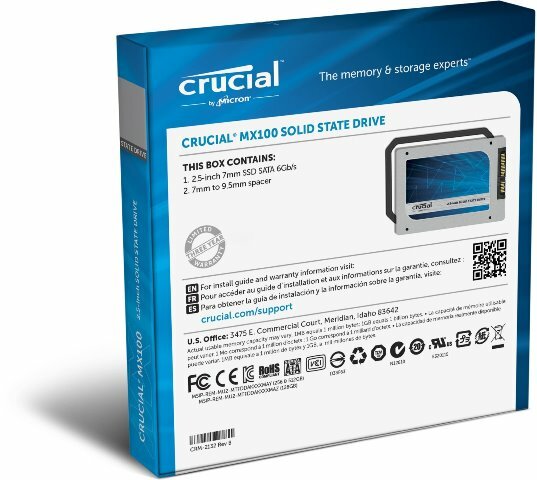 Crucial’s new budget friendly SSD – the Crucial MX100 SSD Series, offers a good solid performing SSD for a much affordable price. The MX100 is basically targeted towards system builders and laptop users who are looking for a fast storage solution without breaking the bank. Check out more details below, price and capacities available and where to buy. The Crucial MX100 is the successor of the previous M500. It uses Micron’s 16nm MLC NAND and is rated to handle up to 72TB of total writes. It’s not as fast as the Crucial M550, but it offers a lower cost per gigabyte compared to other SSDs in the market while maintaining that fast performance we expect from a solid state drive. With Crucial MX100 SSD, you can run your system longer, specially in case with mobile devices such as laptops, since it consumes way less power compared to a typical hard drive. It also uses Crucial’s Exclusive Data Defense to avoid your files from getting corrupted and inaccessible. The MX100 SSD series also features Power Loss Protection, so that your files will be protected in case when the power goes out suddenly. It also features Adaptive Thermal Protection technology which dynamically adjusts storage component activity to prevent your system from heating up. The Crucial MX100 SSD also features AES 256-bit encryption making your files safe and secure. It is said that the MX100 is one of the only drives available that meets Microsoft eDrive, IEEE-1667 and TCG Opal 2.0 standards of encryption. The Crucial MX100 is available in three capacities, 128GB, 256GB and 512GB. Please take note that each capacity doesn’t perform alike. The higher the capacity, the faster the drive is. The 128GB is currently priced at $79.99, the 256GB is $99.99 and the 512GB is at $199. For latest and best prices see it here. Meanwhile, if you prefer a faster Crucial SSD or a 1TB capacity, check out the Crucial M550 instead. It’s available in 128GB, 256GB, 512GB and 1TB capacities.